The pledge was led by Michelle M-N. 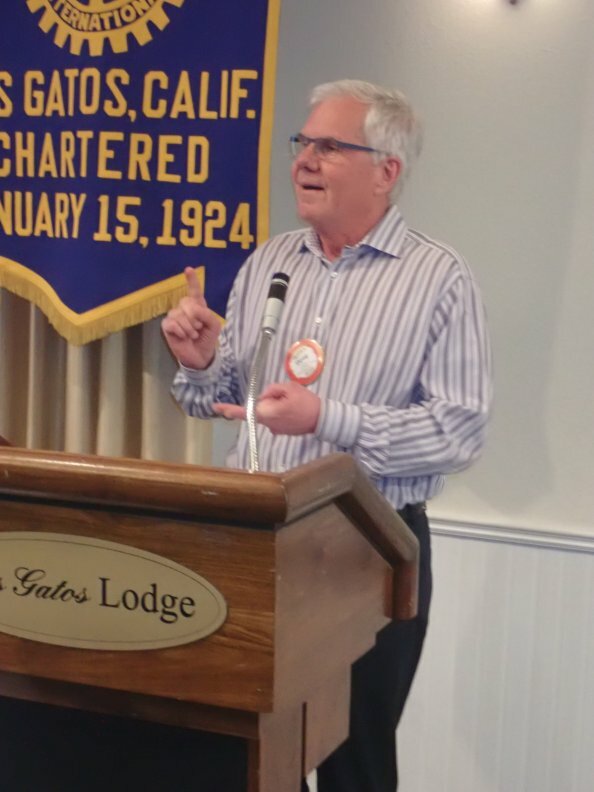 Guests were announced by Hal R. Phil Young, Saratoga Rotary President-elect, visited because he heard our club was great. Brenda D. visited form San Jose downtown club. Doug B. introduced his wife Marjorie. Tom B. announced his college roommate Jeff Evans and donated $62 for their friendship of 62 years. John C. introduced for his second visit Randy Cobb, Ray Cobb’s son, a past member of high esteem. Inspiration was led by Ron S. Andrea L. announced past member Rosemary Pierce lost her son recently and passed around a sympathy card to sign. Also Jack C. told Gae he hopes to be back at meetings soon despite his recent loss. Gae announced 1st Thursday is next week 5-7 at Travel Advisors. As usual, bring a beverage and if you’d like, an appetizer as well. Morning Rotary will join us. Mike F. announced another Fisher house dinner hosted by our club is this Thursday. Meet him at the lodge at 4:00 sharp if you’d like a ride. Andrew H. announced the annual grant request process deadline is this Thursday 2/28. New member Paul Johnson was given his new member packet. Present for the occasion were his wife and granddaughter. He has 3 grown children and is Superintendent of LGU School District. He has been in 2 other Rotary clubs and is apparently a puppeteer. More at the Red Badge bio? Art B. has resigned from the club. He says that though he loves us, he has a new love, rekindled from decades ago in Germany, so spends much time there. Doug B. gave his Red Badge bio. He spoke of family: He met wife Marjorie 40 years ago this year. He has a daughter who does cybersecurity for NATO in Brussels, and a son in Novato. They are a big USC family (sorry Andrew S.!) He lived on the Peninsula and a few years ago moved to LG. He spoke of fun: loves his red Vespa scooter and scuba diving. And he spoke of work: He retired after 40 years in tech 10 days ago. He worked for large companies such as Apple and IBM, but loved his startup jobs more. He was COO for ICAN, which is the guardian for unique domain names. He testified in front of house committees and presented at a master key ceremony for internet security outside the DC blast radius. Another job he enjoyed was CTO at Trimble Navigation, which started in GPS and is now global. They started some early work on augmented reality glasses, now a major project at Microsoft. 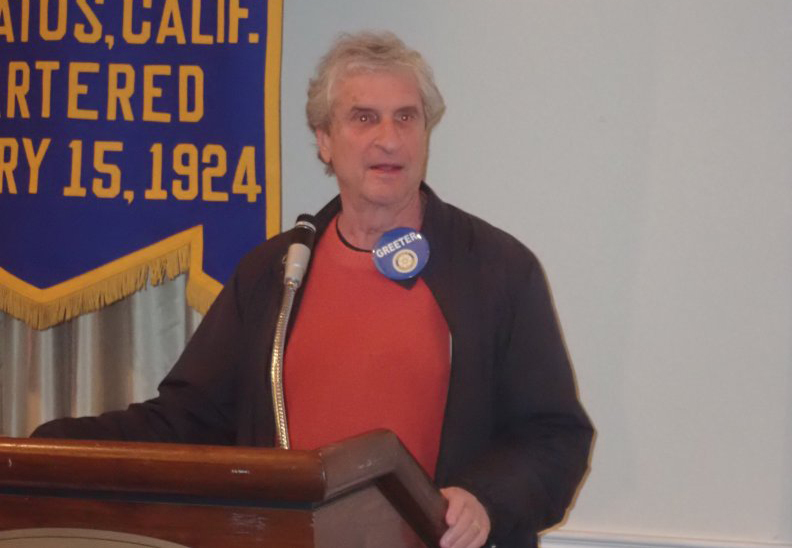 Gordon L. auctioned off 2 tickets to James Comey’s talk 3/21 to Greg S. for $100 to the club. There were many 20 for 20 announcements: Ron C. announced Jack Cody passed recently. He was a big figure at Los Gatos High School for many years. Judy R. thanked Marshall S. for his hard work every week with AV support. Patti v., noted that Nicholas W. recently won Citizen of the Year for Downtown Campbell. Then Nicholas made it a bell ringer $100 and also noted he was celebrating finally getting permits for work at Darling Fischer after 3 years! Avis announced she got a 2 am purse call from Tina in India. Apparently the purse was having a great trip so far. Haryl P. asked Doug B. if he could help him get the domain name for his initials HP. 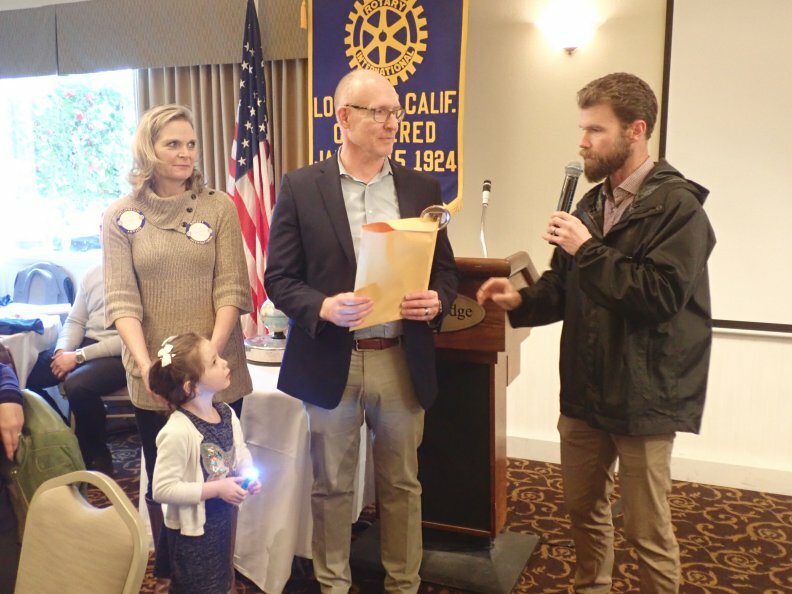 Eric E. announced the speaker Tim Elias from West Valley Collection and Recycling. He spoke of Recycling Guides, composting and sustainability. He noted Recycling reduces pollution and energy use, and reduces need for landfill space. He emphasized that recycling can’t have contaminants, so please rinse items, and don’t put paper towels and Kleenex in recycling. Also plastic bags are not wanted in recycling because they get caught in machinery. Many businesses and multi-family dwellings have large compost green bins, and soon they will promote a home compost system. Styrofoam never decomposes, and glass takes 1-2 million years. The 4th R has been added: Reduce, Reuse, Recycle, and Rot (Composting). He also noted the Guadalupe Landfill has tours.